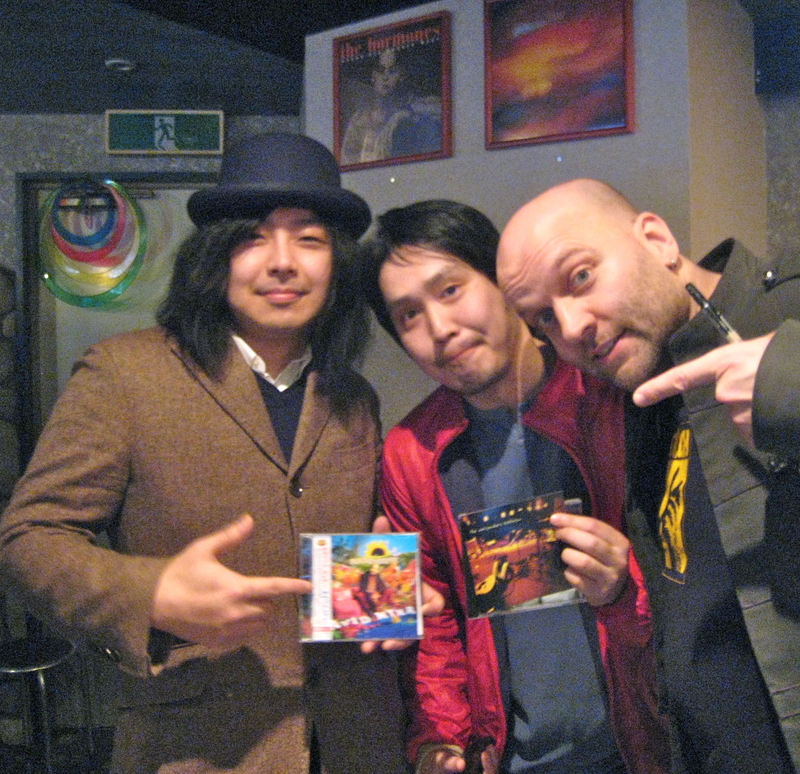 The first of three appearances on my Japan promo tour of January took place at Club Wonder, Osaka, on Jan 4. 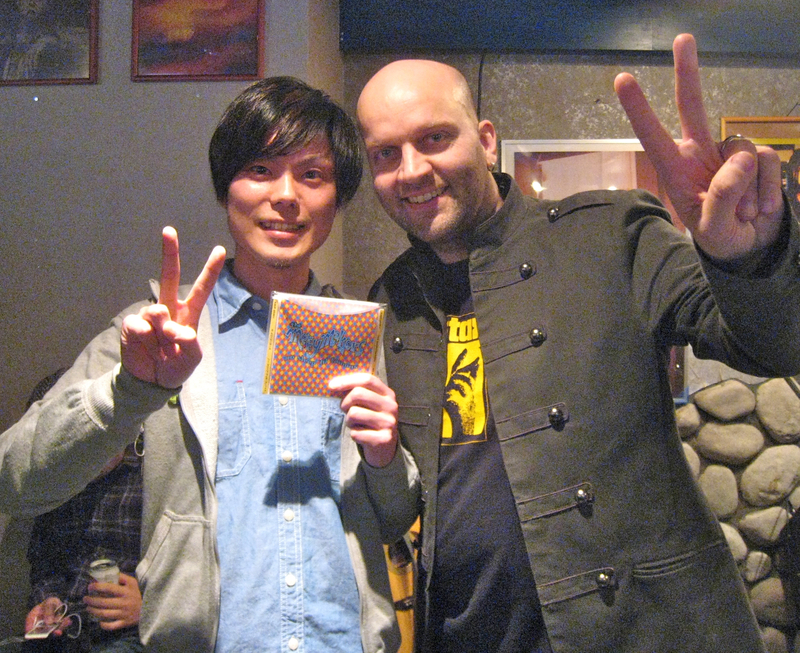 Just like when I played there in 2009 I felt very welcomed by the bar owner Kazu and his friends. Club Wonder is a really special place! 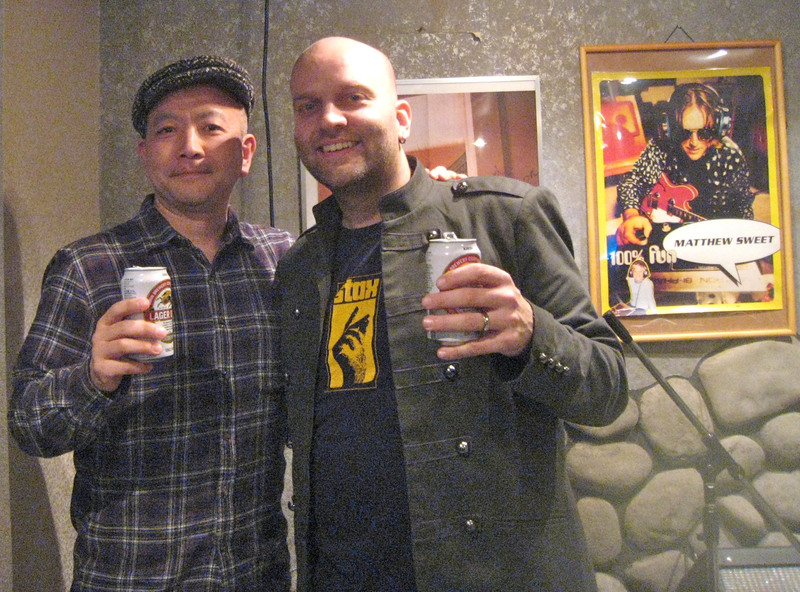 A really small but really cool bar, devoted to all things “power pop”. (Power Pop, for those who don’t know, is to quote allmusic guide; “a cross between the crunching hard rock of the Who and the sweet melodicism of the Beatles and Beach Boys, with the ringing guitars of the Byrds thrown in for good measure”). 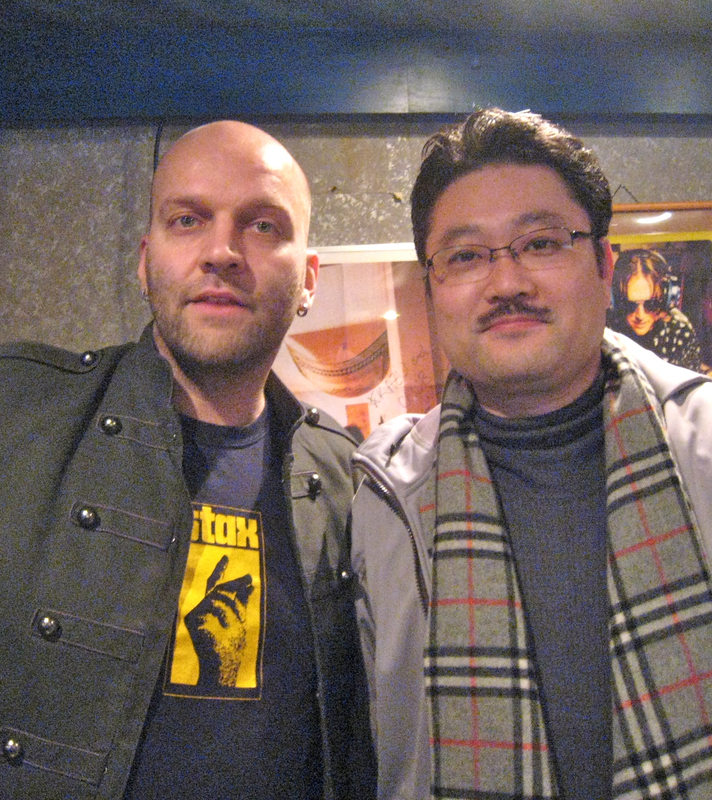 So here on the 7th floor in a building in a small street of Osaka is a place where bands like Jellyfish, Teenage Fanclub, and Matthew Sweet are legends, and where for instance Swedish bands like my own The Merrymakers, or Beagle and Popsicle are household names. Quite fascinating! I made a solo “acoustic” performance for the devoted audience of music lovers who I can’t thank enough for their love and support. I played no less than 23 of my original songs during two hours and threw in two covers as well, one from Jellyfish, and one from Emitt Rhodes that we recorded with the Merrymakers. I played the majority of the songs from my new album Soundshine, but in order to fill the two hour set I had to dive deep into old Merrymakers songs as well, including some very old ones dating all the way back to 1992(!). It was twenty years ago today, man! 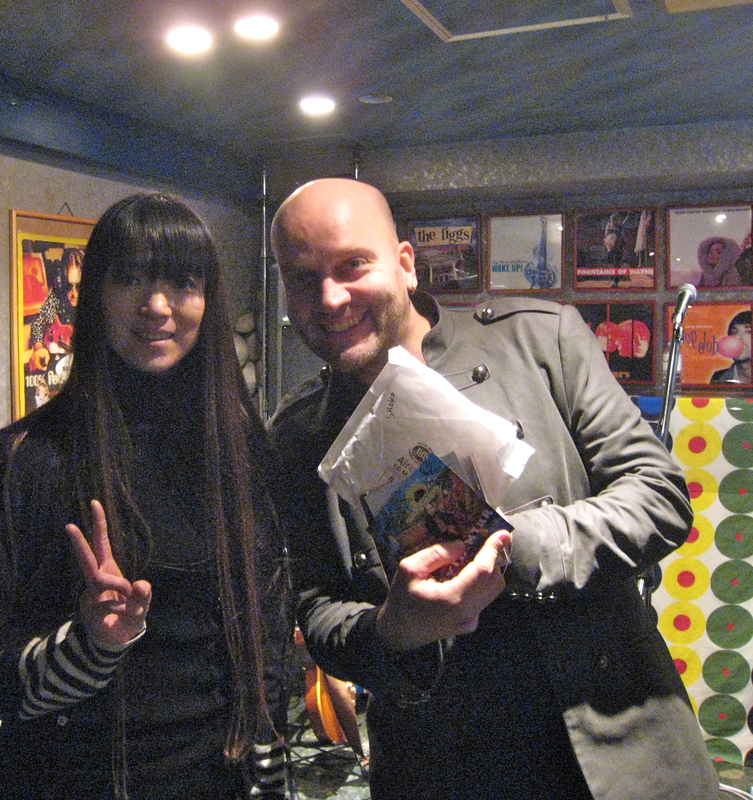 On the Merrymakers old song “April’s fool” I was helped out on piano by Tanaka-san. After the “show” it was time for meet & greet with the audience and I proudly signed my new album for a few of them. 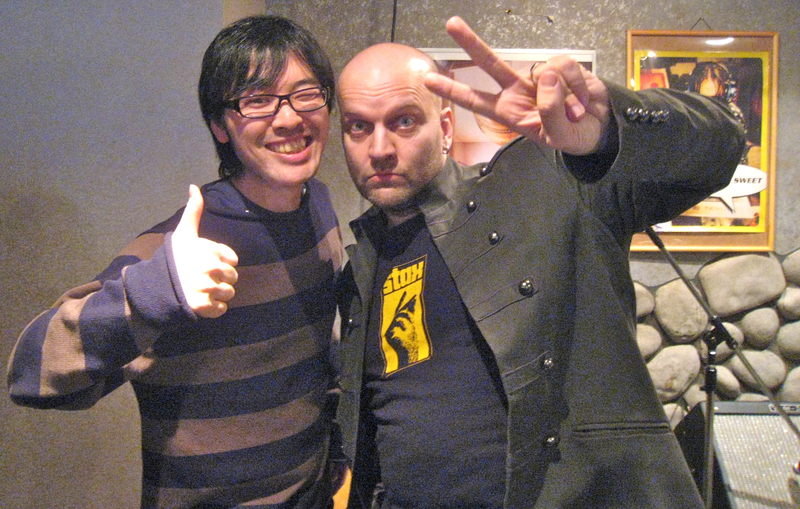 Here’s a picture of me and Yas who also runs a blog – if you understand Japanese you can read his full report from the concert here. Some members of the cool band The Mayflowers picked up a guitar and it turned into a small acoustic jam session which is something I of course enjoyed a lot. Afterwards we went to a local restaurant and had a big laugh with Kazu, together with members of TateFuji and The Ants among others. 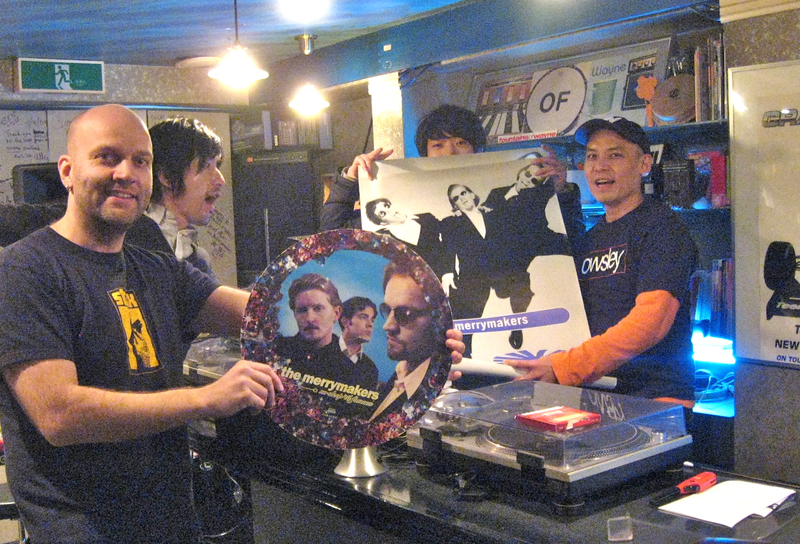 The day after I took the opportunity to visit Umeda Tower Records to check if Soundshine was exposed in the record store. I was very pleasantly surprised to see the album on the “New Releases & Recommended” section so being the shy person I am I immediately called to the staff “That’s me, that’s me, that’s me!!!!”. 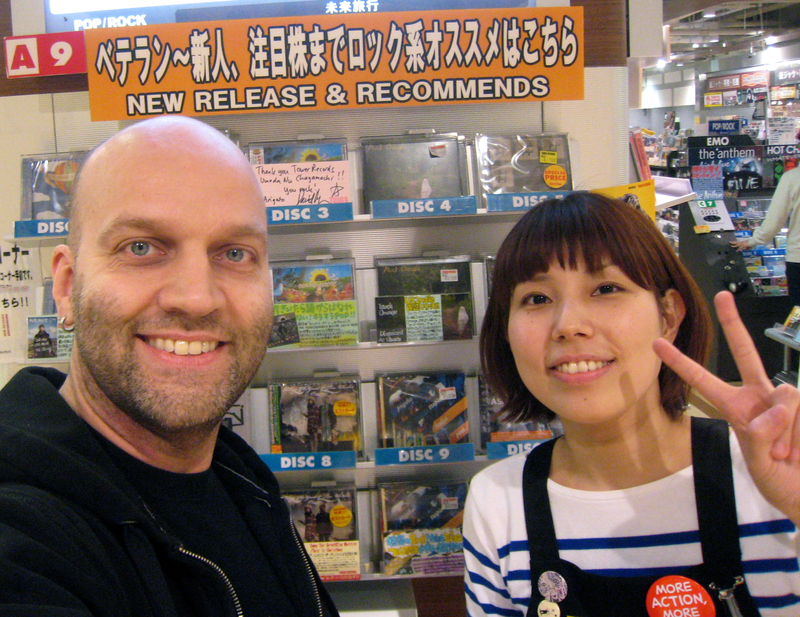 Here’s picture of me posing with the nice store assistant who tried not to look to bothered by the self-invited artist! My wife and I were also invited by our new ukulele playing friend Ryoko to have the local specialty Okonomiyaki and the whole Osaka experience was complete! Domo arigato Osaka! Hope to be back soon!